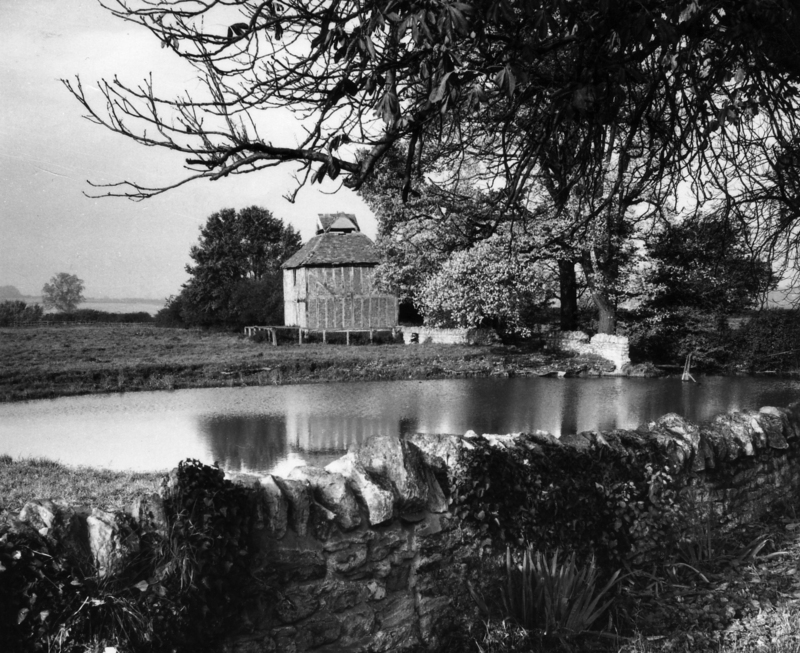 We can still visit our village pond in Biddenham, but sadly we only have pictures of the dovecote because it was knocked down in 1966. The Biddenham dovecote was built on the order of Elizabeth Boteler in 1706 in a field to the west of the carp pond (now known as the village pond) the Boteler family had created in 1700. The dovecote provided meat and eggs and the pond fish for the Biddenham Manor table. The pigeon droppings from dovecotes could be used as fertiliser on fields, and sometimes the feathers were used to stuff mattresses, although we don’t know if Elizabeth did that in Biddenham. Wild rock pigeons were domesticated many thousands of years ago, probably in the eastern Mediterranean region. The secret was finding a way to keep the birds captive until they matured and were able to breed. It’s possible the Egyptians were the first to domesticate the rock pigeon, and we do know they kept and reared pigeons for profit, for their eggs, droppings and for food. The Romans also reared pigeons from an early date, and although pigeon holes have been found in Roman ruins in the United Kingdom, the traditional view is that dovecotes and the art of pigeon keeping were introduced into England by the Normans. We know of nest holes in their castle walls, but the earliest surviving definitely-dated free-standing dovecote in England was built in 1326 in Herefordshire. In the Middle Ages, only manorial lords could keep these birds so the few remaining medieval dovecotes are connected with manor houses, castles, parsonages or former monastic sites. Later, when the laws were relaxed others also built dovecotes. They fell into decline however with changes in farming practices, the pigeons’ hearty appetite causing great damage to farmers’ grain crops. People thought that dovecotes produced a luxury for the few and held back more efficient farming by the many. Many dovecotes were demolished and others became derelict. Medieval dovecotes were usually massive round stone structures. If they were timber framed they had to be square, rectangular or polygonal. In their time, they were functional buildings, generally built in a local style with local materials. By the 18th century over 26,000 dovecotes were recorded in England. 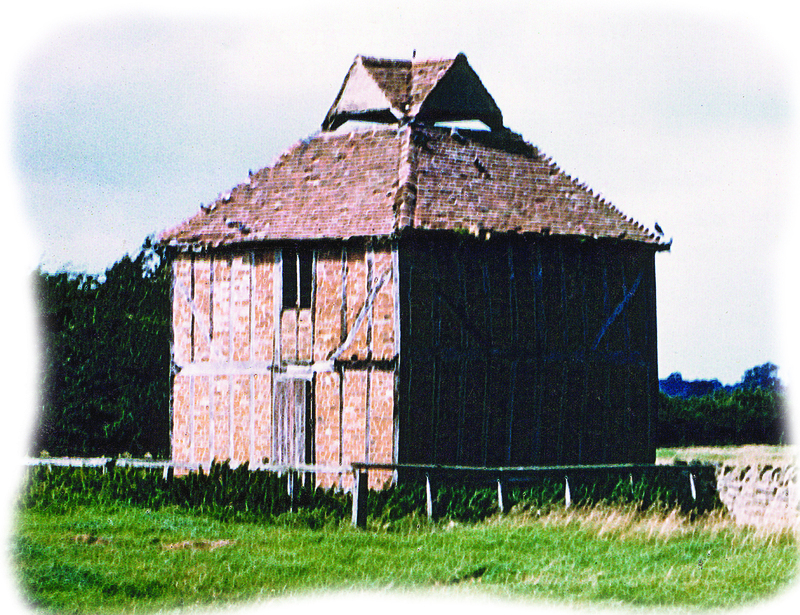 The Biddenham dovecote was a square timber framed building with brick in between and plastered over. It had a hipped tiled roof with four gabled dormers, whose ridges met at the apex which was crowned with an ornamental finial. The 461 nests inside were built on elm wood boards, some of brick and some of clay, mixed with straw and cow dung. The clay for building nests in the dovecote and for building the village’s wattle and daub houses came from clay pits in the village. We don’t know when the dovecote ceased to be used for its original purpose of supplying meat and eggs for the Manor table. After falling into disrepair, it was restored in 1932 and restocked with four pairs of pigeons. At some point thereafter, it was used by cattle as a shelter and by the village children for play; but in 1966, it being said it was dangerous, the dovecote was knocked down, a sad loss of a unique part of the village’s heritage. Whilst unfortunately we can’t any longer see the real life dovecote standing where it once did by the village pond, we do have some photographs in the gallery.